Sometimes when I am in the middle of a moment I want to capture the closest camera I have is my cell phone, sad story I know, but I happened to catch this moment one morning this past week. I got the opportunity (for work) to stay down in Dana Point in this beautiful hotel over looking the harbor and all. Most mornings my internal clock went off just as the light was starting to hit the horizon and can I just say it was breath taking. All the pictures I took on my phone can’t even compare to what I saw. My first morning the sky above was this rich royal blue and the line of the horizon was this crimson red color…it was amazing. 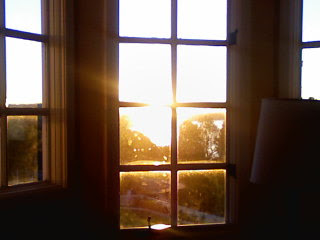 I sat in the chair closest to the window thanking God for moments like this, moments that I don’t get every day. Had I lived in that room my whole life it would not have been as special and I probably wouldn’t even get up to enjoy the view every morning, but because it was something special and different it was a treasured view. A room with a view. Nice.